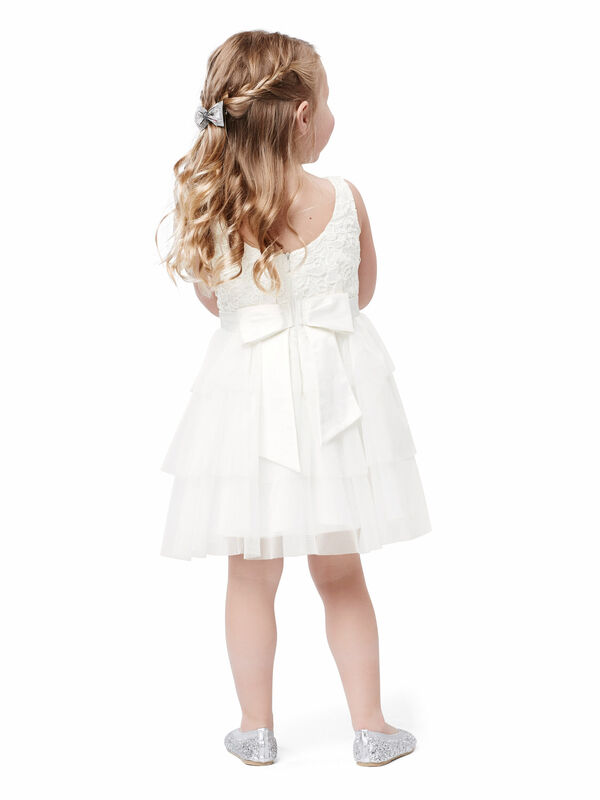 Little Princess Dress https://www.review-australia.com/global/little-princess-dress-white/RE18DR063.REWHT009.html She'll feel like a real life princess in our Little Princess Dress in Ivory. This beautiful dress features a cute lace bodice and layered tulle skirt finished with a satin waistband forming a statement bow on the back. Perfect for flower girls and little princesses alike, she'll be the belle of the ball in this dress!. She'll feel like a real life princess in our Little Princess Dress in Ivory. This beautiful dress features a cute lace bodice and layered tulle skirt finished with a satin waistband forming a statement bow on the back. Perfect for flower girls and little princesses alike, she'll be the belle of the ball in this dress!.